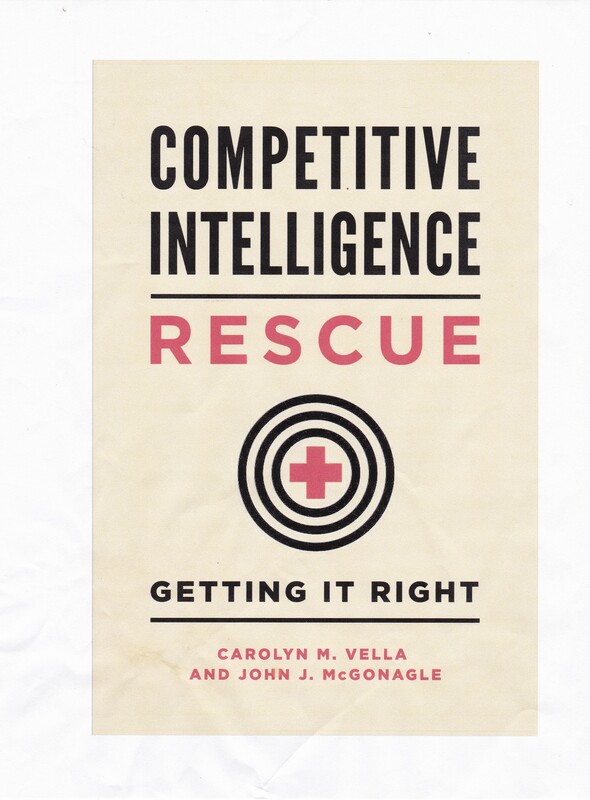 We have just received the authors’ copies of Competitive Intelligence Rescue – Getting It Right from our publisher. This is the latest book from Carolyn M. Vella ( Helicon’s founding partner and my significantly better half) and me. We are very excited about it. It takes you behind the scenes of CI rescues – case studies of efforts to help clients get it right. It is an easy read, but filled with useful tips. For more complete information on the book, you can go to http://abc-clio.com/ABC-CLIOCorporate/product.aspx?pc=A5235C. It will let you see a little from the book. You can preorder from Amazon.com now, at https://www.amazon.com/Competitive-Intelligence-Rescue-Getting-Right/dp/1440851603/ref=sr_1_1?ie=UTF8&qid=1501184488&sr=8-1&keywords=vella+rescue. Congratulations to you both!! Another masterpiece I am sure. Well done. Good news. Best wished on this new initiative.